A Little Lifetime Foundation (formerly ISANDS) Guidelines for Professionals. Written by Professionals working with parents and families whose baby has died or is expected to die. I began my career in medicine as a fresh faced medical student in 1966 and from then until I graduated and completed my professional training, firstly as a paediatrician and finally as a paediatric oncologist in 1981, I cannot recall receiving advice or guidance on a single occasion in relation to breaking sad news or communicating with patients or their parents. At that time, one was supposed to absorb communication skills by observing senior doctors involved in this task. Unfortunately, none of these senior doctors had received any training in this difficult area either and, although many were naturally good communicators, most performed this task badly. Thankfully, there is now much greater awareness of the absolute necessity to communicate sad news in a caring and compassionate manner and of the serious negative consequences of performing this task badly. Despite this awareness, and particularly because of the explosion of medical knowledge over the last three decades which our students have to absorb, very little undergraduate time is allocated to this important subject. I had an opportunity to review “Guidelines for Professionals” prior to its public launch and was enormously impressed by the depth of knowledge and helpful advice contained within its covers and was conscious of the tremendous impact which it could have in the day to day lives of professionals who, not only dealt with parents and families whose baby had died or was expected to die, but who faced any difficult communication challenge. It is quite an extraordinary publication and is unlike any I have previously encountered in the way that it offers such clear guidelines in relation to almost any possible clinical scenario. Before even beginning to deal with specific clinical situations, the publication acknowledges the difficulties encountered and the distress engendered in professionals through breaking sad news and offers insights and advice in coping with this extremely difficult task. Subsequent chapters offer specific advice to general practitioners, ultrasonographers, obstetricians, midwives/nurses, paediatricians, medical social workers, chaplains, physiotherapists, pathologists, morticians, funeral directors, public health workers, teachers and healthcare administrative staff. Advice is also offered to work colleagues of those who are bereaved. Extremely helpful guidance is offered to grieving parents and their families in many different scenarios. Given the diverse multicultural society in which we now live, welcome guidance and advice is offered in relation to the varied cultural and religious groups who now share this island. 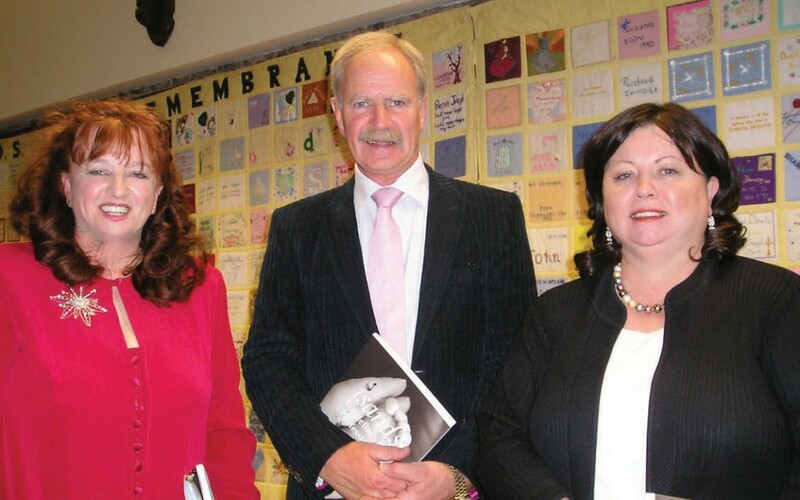 Given the need for continuing education of professionals in this difficult task and the potential impact which this wonderful publication could have in this field, I immediately accepted the invitation of your National Chairperson, Ron Smith-Murphy to speak at the recent launch of this publication by Mrs Mary Harney, Minister for Health and Children. At the launch I acknowledged the tenacity and drive of Ron in ensuring that this publication saw the light of day. I extended my congratulations to each and every contributor, all of whom should feel rightly proud of their part in making this publication such a wonderful success. Since the launch, I was not in the least surprised to learn that many hundred copies of the book have already been requested by hospitals and institutions throughout the country. I would advise all who might face the unenviable task of breaking sad news to read this publication. It should be mandatory reading for all students of medicine, nursing and the allied healthcare professions. The information, advice and guidance contained within its pages will ensure that grieving parents and their families will be dealt with in a sympathetic and caring manner and will greatly assist healthcare workers cope with this difficult task.